A stunning pair of Art Deco inspired 18kt yellow gold earrings with 2 cushion cabochon medium orange citrines, est. 5.38ct and 2 round brilliant cut diamonds, est. 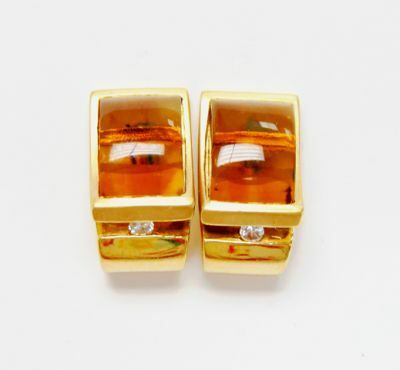 0.09ct (clarity:SI & G-H colour).Citrines are one of the November birthstones and believed to have healing properties.